When you meet Denzil Fernandes, the first thing that immediately strikes you about the man is his energy. The enthusiasm and passion with which he conducts his work- even after 23 years of working with the company, leaves you inspired. On the 25th year of Coca-Cola’s re-entry into the Indian market, Journey India caught up with Denzil- one of the company’s earliest hires, who, even after over two decades, shows no signs of slowing down. Can you take us back to your first day at the company and relive some memories from that day? My first day at the company was May 22, 1995. There were less than 60 employees on board in the India office. Though Coke India was headquartered in Mumbai, some employees were based in Delhi. Most of the Mumbai employees worked out of Maker Towers in Cuffe Parade, while a few were based at World Trade Center – just across the street. Due to the nature of my work at the time (Confidential Payroll Accountant) I was given a cabin in World Trade Center. Since mobile phones weren’t in circulation in that era (yes, it feels like it has been ages! ), I spent the first day learning the intricacies and warming up to the sleek and swanky looking desk phone. Since the WTC comprised only of the leadership team, I was one of the junior most employees working there. At the time, Jaydev Raja was the CEO, Peter Williams the CFO and my manager, who hired me. The day I joined, two aspects of the company immediately drew my attention, and continue to amaze me: despite the rollercoaster business results, the company’s focus on employee wellbeing and self-care, and the informal atmosphere, which somehow never strayed onto ‘casual’ territory. How have you seen the company evolve over this period in India? 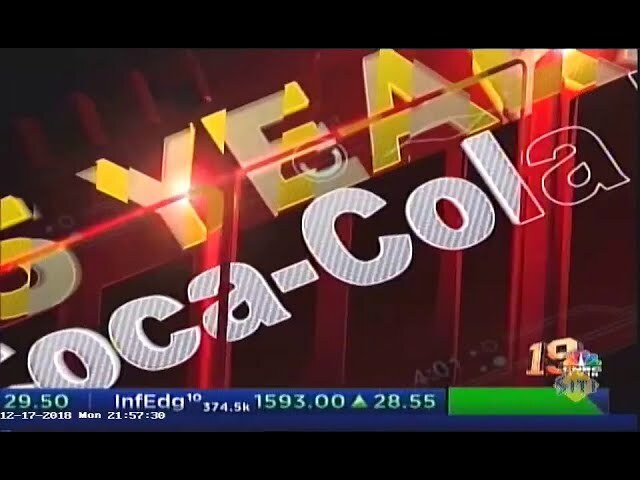 When Coca-Cola re-entered the Indian market in 1993, the Parle group dominated majority of the soft drink market. Coke seized the opportunity to acquire several Parle brands including the still most-loved Thums Up cola, gaining access to its countrywide bottling and supply chain. This was well-received by millions of consumers across India and the company kept going to eventually announce Maaza and Thums Up at the next billion dollar club brands from India. Within a year of my joining, the strength of the company increased to 200, and it has remained in a similar bracket ever since. It has never been about hiring and hiring more, but keeping our people exceptionally engaged and motivated so they achieve amazing feats. The day I joined, two aspects of the company immediately drew my attention, and continue to amaze me: despite the rollercoaster that happens in a business, the company’s focus on employee wellbeing and care, and the informal atmosphere, which somehow never strayed onto ‘casual’ territory. What changes do you see within the company in terms of culture? Leadership changes have had an indirect impact on the work culture. Over these past two decades, I have seen eight CEOs being appointed, although, thankfully, the constant focus on employee welfare, and customer and consumer remain unchanged. When I moved to Delhi a few years after joining Coke, I remember the vivid colours of clothing and flowers, the natural beauty – the foliage – lining the roads and the variety of music. I remember the aroma of strong North Indian cuisine flavours wafting through the many restaurants, and being spoilt for choice when it came to street food. Delhi was the capital in so many ways! Having said that, I feel the company is a microcosm of Delhi – with all its diversity and dynamic demographic. I have had the fortune of working with a range of culturally and linguistically diverse people – all of whom continue to be friendly, bright-eyed, and ambitious. Can you share a few of your most memorable moments during your tenure- perhaps a meeting with a brand ambassador or celebrity? · Though I don’t consider myself to be a celeb-buff, my wife and daughter have met quite a few through Coca-Cola India: Hrithik Roshan, Deepika Padukone, Amitabh Bachchan, Bipasha Basu, Imran Khan, and many others including cricketers. Every morning, what makes it worth coming to work to spend a hectic day here? I get paid for doing what I enjoy! That I can enjoy some exquisitely prepared Cappuccinos to fuel my caffeine craving, is only the cherry on a delectable cake – yes, I am all about metaphors! Which is your personal favourite Coca-Cola product and why? How would you sum up your journey of 25 years at Coca-Cola? The past 23 years have been incredibly rewarding: professionally and personally. You have been part of the company during its foundation and growing years. What would you have missed by not working here? I cannot try to visualise anything else I would have done. Where do you see the company 25 years from now?